Quintessential British dance band vocalist Sam Browne was often Elsie Carlisle’s recording partner from 1932-1937. He continued to tour and broadcast with her after that, and even appeared with her on television. “Won’t You Come Home, Bill Bailey?” Originally titled “Bill Bailey, Won’t You Please Come Home?”; words and music by Hughie Cannon (1902). 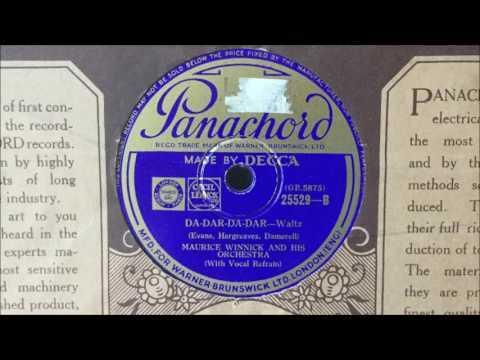 Recorded by Ambrose and His Orchestra with vocalists Sam Browne and Elsie Carlisle in London on March 18, 1932. HMV B. 6162. Won’t you come home, Bill Bailey? I moans de whole day long. I knows I’ve done you wrong! With nothin’ but a fine-toothed comb? Well, ain’t dat a shame? Bill Bailey, wont you please come home? The Ambrose recording lacks the second verse, in which it is revealed that Bill Bailey has somehow become rich and experiences Schadenfreude as he hears his wife moan for him. “Won’t You Come Home, Bill Bailey?” had been recorded in Britain in late 1931 by Jay Wilbur and His Band (with vocalist John Thorne) and by Jack Leon’s Band — in both cases as part of a medley. “Hold Up Your Hands (In the Name of the Law of Love).” Words by Mercer Cook and Thomas Blandford, music by J. Russel Robinson (1932). 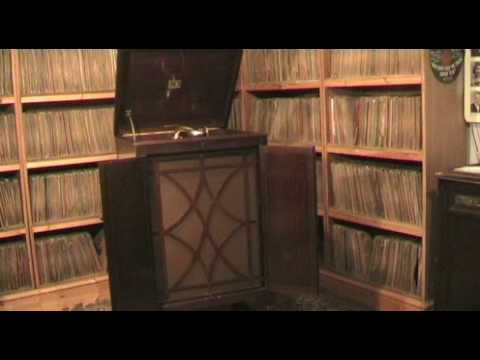 Recorded by Elsie Carlisle and Sam Browne on March 3, 1933. Decca F. 3504 mx. GB5634-2. “Hold Up Your Hands (In the Name of the Law of Love)” was written by American songwriters Mercer Cook, Thomas Blandford, and J. Russel Robinson in 1932; that year they also wrote the very successful “Is I in Love? 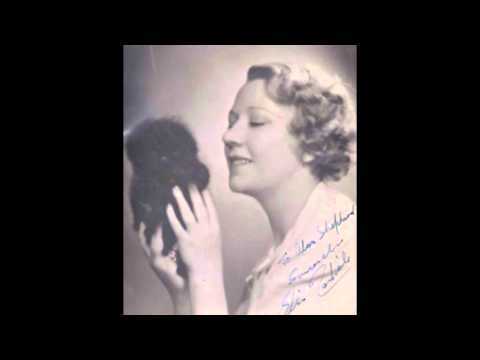 I Is,” as well as “Stop the Sun, Stop the Moon,” which Elsie Carlisle recorded with Ray Starita and His Ambassadors. This duet involves a fanciful metaphor in which it is not clear whether Sam Browne is an agent of “the law” he keeps invoking (viz. the law of love or of Cupid) or a robber carrying out a holdup; he seems to entertain both notions. At any rate, Elsie seems to acquiesce to his demands that she “put up [her] lips, and hold up [her] hands” with little resistance. 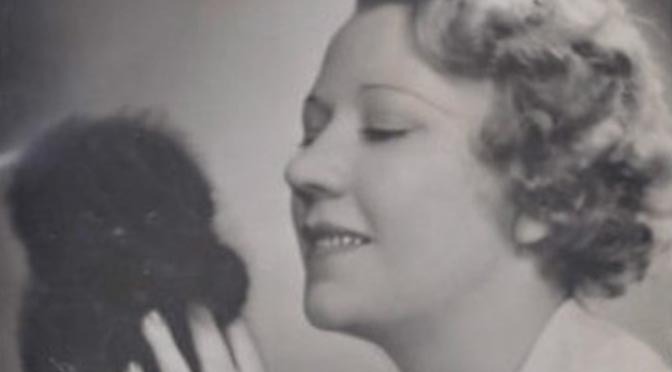 1933 was the second year of Sam and Elsie’s recording duets together, and “Hold Up Your Hands” is fairly representative of their duetting style (when they are not bickering, of course). 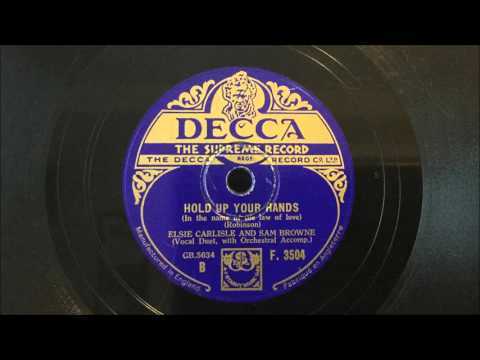 “Hold Up Your Hands” had been recorded in America in September 1932 by Victor Arden, Phil Ohman, and Their Orchestra (with vocals by Frank Luther). It was also recorded in 1933 in Britain by Maurice Winnick and His Band (with vocalist Louis Spiro). “Let’s Make Love.” Words By Stanley J. Damerell, music by Tolchard Evans (1934). 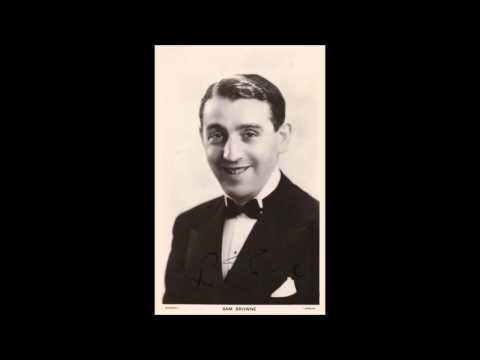 Recorded by Ambrose and His Orchestra with vocals by Sam Browne and with Elsie Carlisle in a speaking role on November 1, 1934. Decca F. 5297 mx. TB 1704-1. Jack Payne and His Band had made, in late October 1934, a version of “Let’s Make Love” that relied for its entertainment value largely on comical Northern and Cockney voices provided by Jack Payne and Charlie Asplin; there was yet another version of “Let’s Make Love” in November by Jay Wilbur and His Band, with Fred Latham on the vocals. After an impressive instrumental introduction, the Ambrose recording has Sam Browne sing just the refrain and the first verse of the song. He then proceeds repeatedly to try to sing the first few words of the refrain (or something like them) in foreign accents which are intentionally abysmally done. His try at a Russian accent (“Letsky makesky loveskevitch”) is perhaps the least embarrassing. I cannot say whether his announcing the Russian lover a second time and then correcting himself to “a Spanish lover” is a feigned mistake or a real one. The cannibalistic Zulu with his war cry “Yum, yum, yum!” is awkward at best, as is the shivering Eskimo. Elsie Carlisle, for her part, merely interjects on occasion that Sam’s “impressions are lousy,” or the like. Sam and Elsie had already played bickering lovers in the 1933 Maurice Winnick recording of “Seven Years with the Wrong Woman,” and it was only weeks after recording “Let’s Make Love” that they would berate each other in “I’m Gonna Wash My Hands with You” with Ambrose and His Orchestra. In “Let’s Make Love,” by contrast, it is not apparent that Sam really means it when he repeatedly sings “Let’s Make Love” to Elsie, nor that her rebuffing of him is anything more than a negative review of his talent. What is clear is that this song is one of the silliest things Sam and Elsie ever collaborated on in their years of working for Ambrose. “My Dog Loves Your Dog.” Music by Ray Henderson, lyrics by Jack Yellen and Irving Caesar for the film George White’s Scandals (1934). Recorded by Elsie Carlisle and Sam Browne with orchestral accompaniment on June 22, 1934. Decca F. 5079. Elsie Carlisle & Sam Browne – "My Dog Loves Your Dog" (1934)"
The various annual installments of George White’s Scandals, a famed series of Broadway revues which ran from 1919-1939, were responsible for introducing the world to countless people who would eventually become Hollywood stars, as well as to the early music of George Gershwin. In 1934 the music of the stage show was combined with a somewhat more robust plot and made into a feature film, George White’s Scandals (1934), starring Alice Faye, Rudy Vallée, Cliff Edwards, and Jimmy Durante. One long scene in that movie involves the male characters walking dogs in tandem with the female characters and engaging in lengthy observations about canine amorousness that always lead to the conclusion “If our doggies love each other, why can’t we?” Foremost among the singers of “My Dog Loves Your Dog” is Jimmy Durante, who at one point is shown in a dog collar, with his head in a woman’s lap, having his famously protuberant “schnozz” petted. In June, Elsie Carlisle and Sam Browne would tackle the song themselves, but with less than three minutes to sing it — including an instrumental interlude — they present a considerably abbreviated version. Their male-female duet adds flavor to the song, though, and ultimately allows the entrance of the element of strife between lovers that one would expect in a Sam-and-Elsie bit. When Sam first accosts Elsie and begins to observe the growing familiarity of their respective dogs, she responds, “Yes. Someone mentioned it today. You can see it in their eyes” in a stilted delivery that must either betoken haughtiness on the part of Elsie’s character or perhaps exhaustion on the part of Elsie herself! Either way, I find her awkward beginning intensely funny. Some very nice singing ensues, but Elsie’s observations about the dogs ultimately serve as a riposte to Sam’s advances. The dogs begin to fight, and the two singers conclude “And if our doggies bite each other, why can’t we?” — a comic twist not present in the movie.